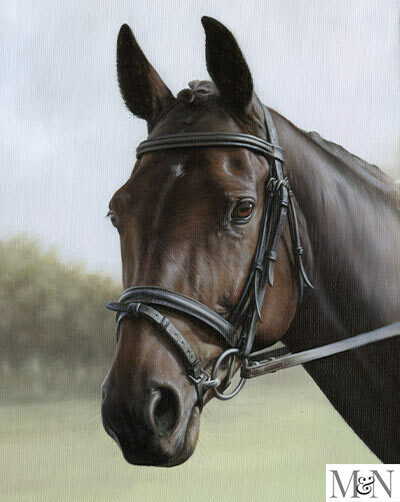 Welcome to our website and to our magnificent horse painting, oil on canvas, of Leah. 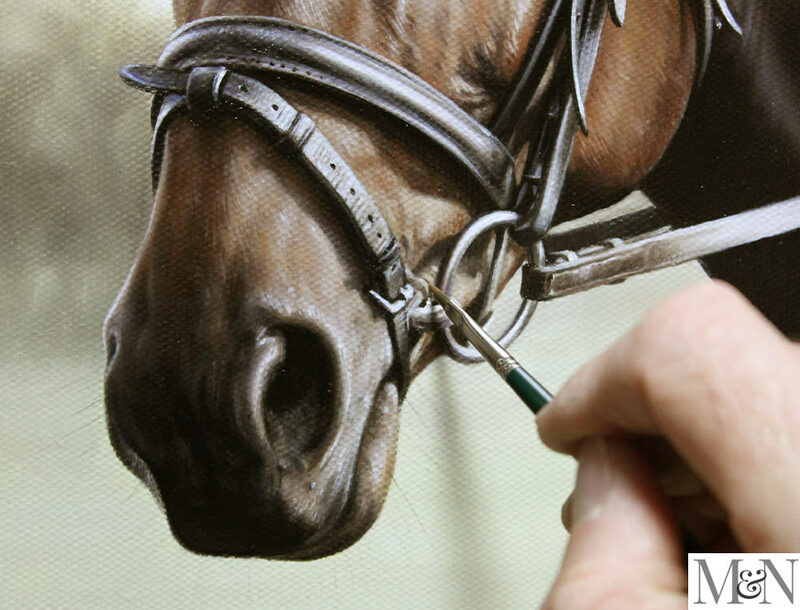 The oil painting was traditionally hand painted by professional equine artist Nicholas Beall, from his dedicated art studio in the UK. 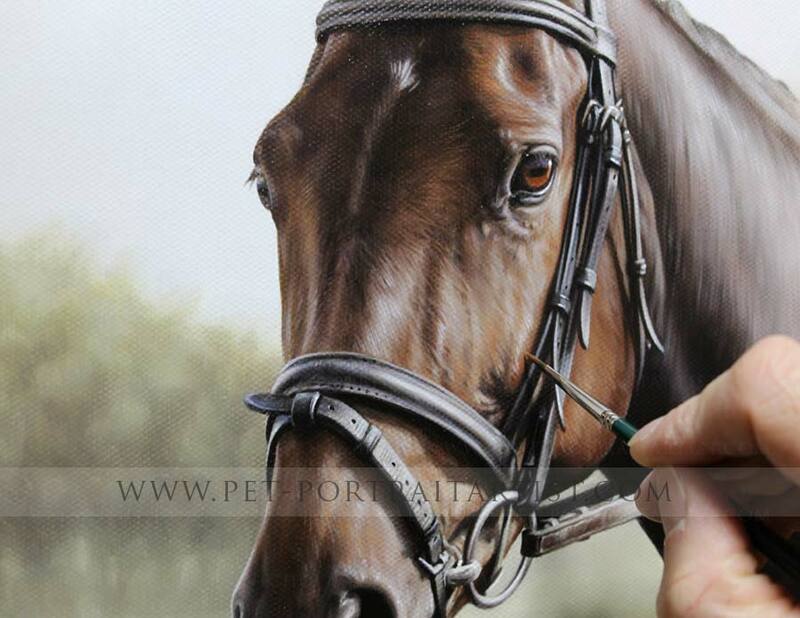 He paints horses for clients all over the world from their own photos and the painting of Leah is no exception. Scroll down further to read more about the commission and see photos of the painting up close, plus photos of it framed. Please feel free to share it using our buttons too! 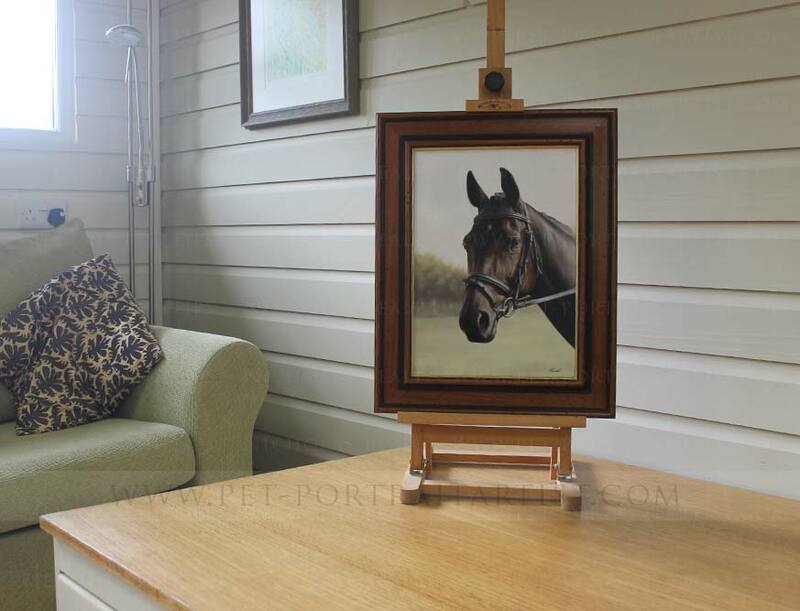 June Foster, UK commissioned a horse painting from Nicholas as a Christmas present for her daughter Amy. When June contact us in 2014 Nicholas was booked up for Christmas portraits so they arranged the commission before Christmas and we added Leah to Nicholas' client list to secure her space. We sent a gift voucher pack for Amy to open on Christmas day with a mock-up of how her portrait could look. This meant that Amy could have full control over which photo was to be used and also watch the painting in progress via email. Amy was over the moon to receive the voucher and was excited to see her painting come to life in the New Year. 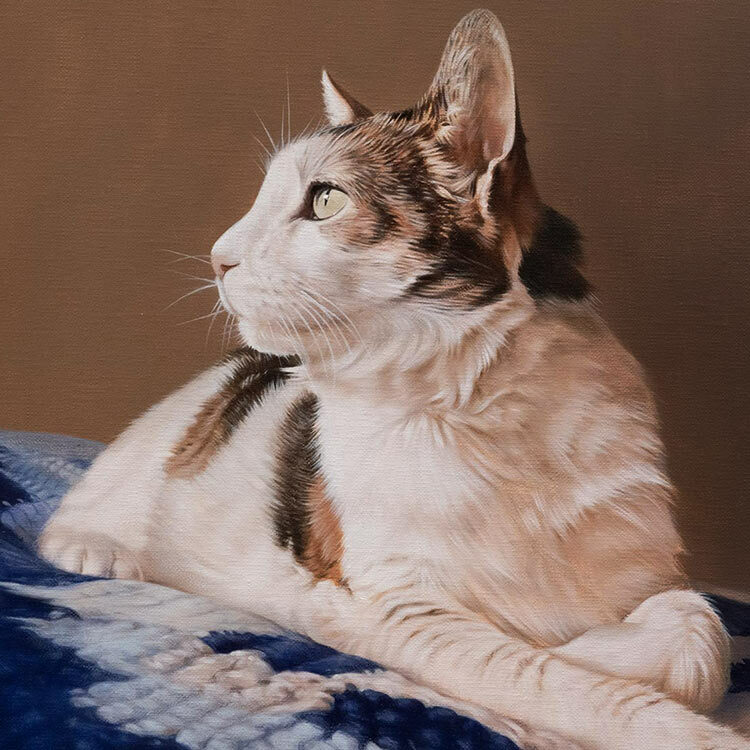 We email our clients every stage of the painting so that they can feel part of the process and they can then share with friends and family if they wish. Once the oil painting was complete, we took some lovely photos of Nicholas' hand on the portrait to help show scale and you can see the reference photo Nicholas used when painting Leah. 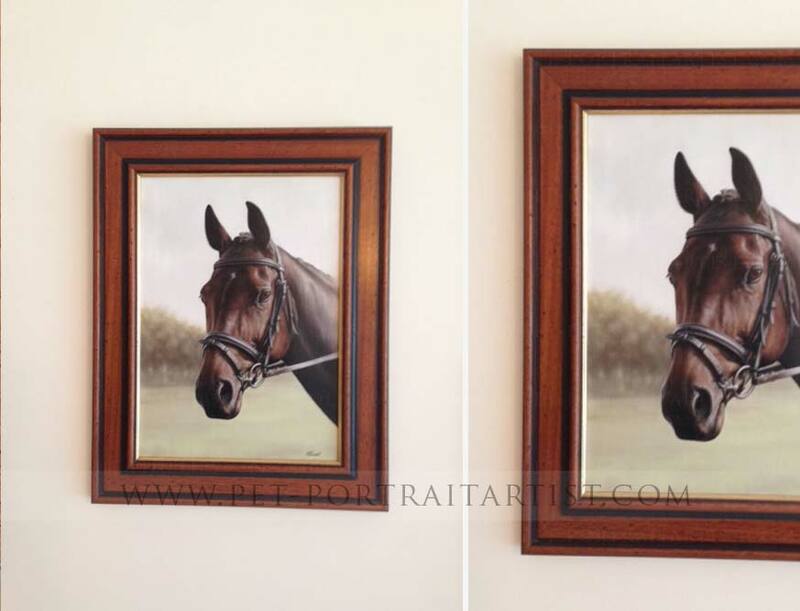 Scroll down further to read some lovely emails and see a photos of the framed painting. We received some lovely emails from June and Amy which you can read below. You can also see a photo of the oil painting framed and displayed in their home. We absolutely love it! Nicholas has done a fantastic job and Leah looks beautiful. 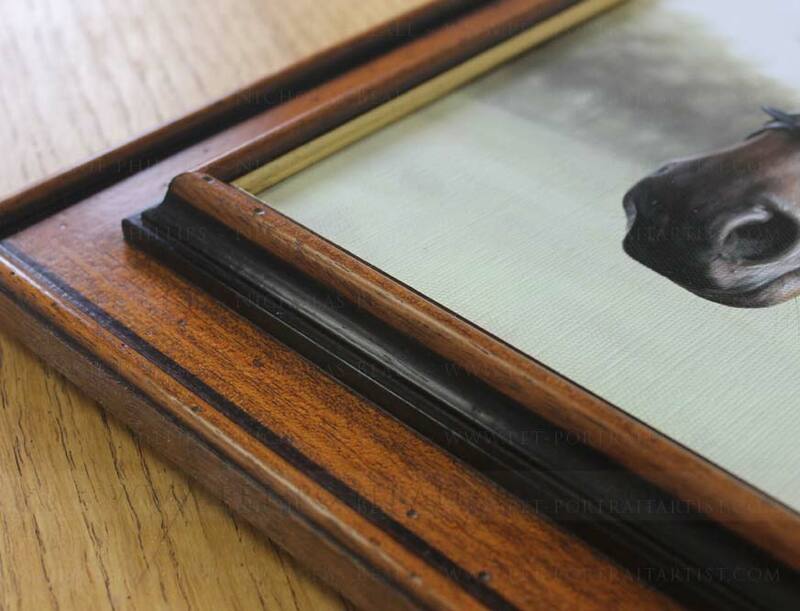 Very happy with your choice for the frame as we are sure you know what will be the right match for the painting. Amy is so happy with her painting. We have it in our kitchen as this is the room we spend most of our time in and it's amazing how much we look at her! 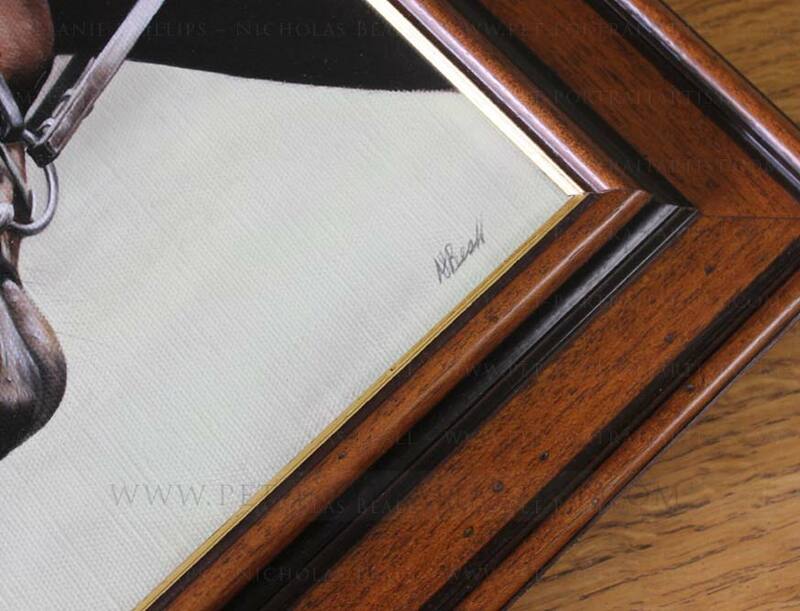 We always take photos of our oil paintings when they are framed and email them to our clients. They love receiving photos of the final product and we then arrange delivery. 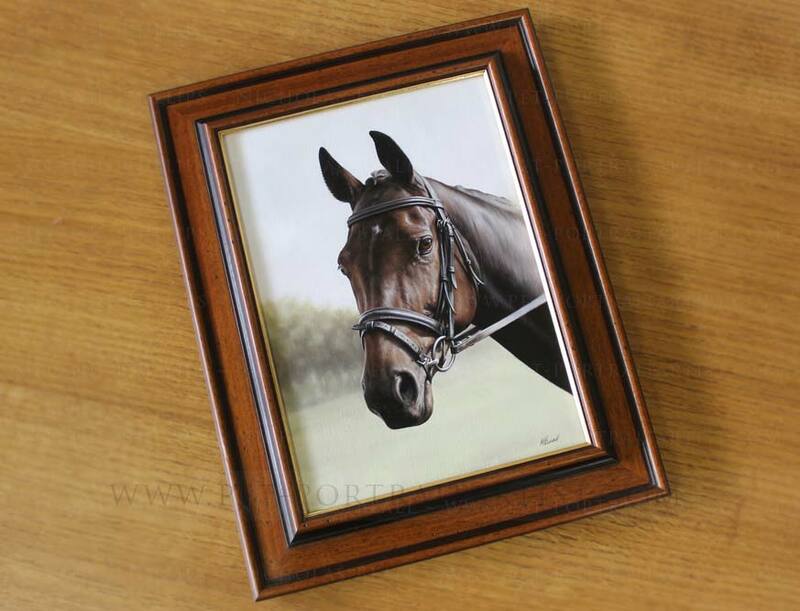 If you would like a horse painting oil on canvas of your horse, why not drop us a line today. We can check out your photos and discuss the best one t use as the basis of your oil painting. Perhaps you are looking to give a painting as a surprise gift? Let us know as soon as possible so that we can make sure we meet your required deadline. We do offer gift voucher too. 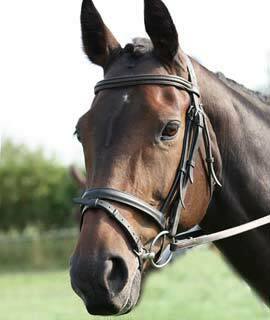 Visit our Horse portraits contact page and let us know!